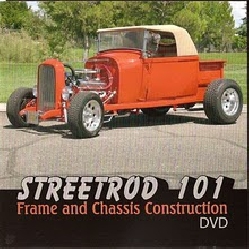 If you are a streetrodder that likes to build, fabricate, design and create when you put a rod together, or if you have ever wondered "HOW" someone else does the same job or a certain procedure, then welcome to Streetrod101. This DVD is an exceptional tool used to teach, train, substitute and stimultate your mind to create that "one of a kind" project that you have been thinking about for years, or perhaps finish the project that you started some time ago. Either way we would love to help you get that procrastination monkey off your back and get started! This DVD is the place to get you going by taking you step by step through the backbone of any project - THE FRAME! From the frame we move through the setup and fabrication of everything needed to mount a coil-over rear suspension. 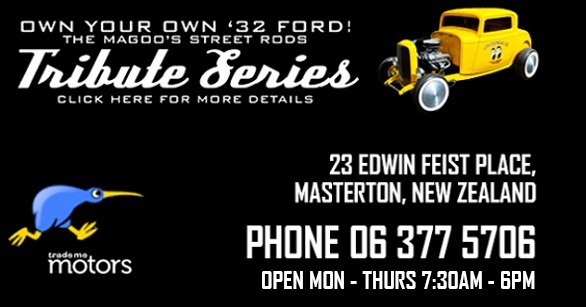 Moving forward you will learn how to setup up the engine and transmission, the steering system, folllowed by a traditional front end. Along the way you will see how to fabricate virtually every piece and component you will need to hold this project together. Tips, tricks, jigs and fixtures are shown that you can use or simply apply the concepts you learn to make your project enjoyable instead of frustrating - not to mention expensive - along with the satisfation that comes with DOING IT YOURSELF. *Please note that some aspects of construction shown on this DVD may not meet New Zealand standards, although the principles are applicable. We strongly recommend using in conjunction with the LVVTA Hobby Car Manual.